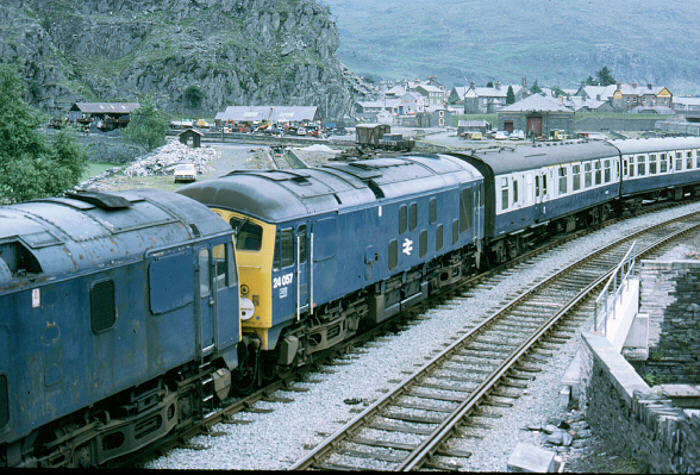 This month's image was taken on Saturday the 25th June 1977 at Blaenau Ffestiniog. 24073 and 24057 are present, stabled in the yard with empty stock of an M&GNJRS excursion from London Euston, which they had worked from Llandudno Junction. 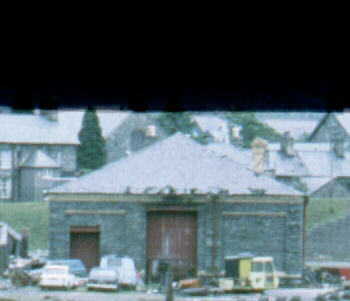 Details of the shunting manoevre necessary to get this train into the yard are given on the Blaenau Ffestiniog page. Once again, it's what's in the background that makes the picture fascinating. 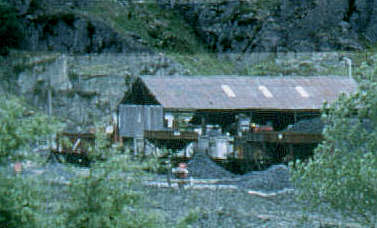 The whole of the large goods yard at Blaenau is spread out behind the train. Only partially in use by this time, it still shows its unique (?) 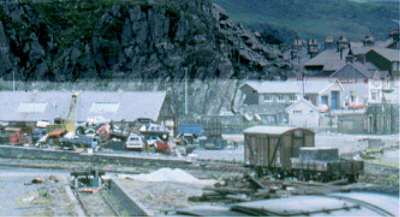 features required for its once primary purpose - that of transferring slate from narrow gauge wagons to the standard gauge for onward trans-shipment. As an experiment, this month's image has built-in hotspots. Move the mouse over the image for zoom images, or more detail text. Comments on this feature, especially if it doesn't work with your setup / browser, would be most welcome. 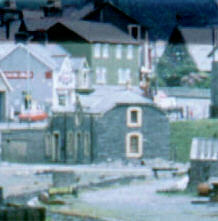 25 years later, Blaenau Ffestiniog station has moved into the centre of the town, and has a proper run-round loop that allows for easier handling of loco hauled trains. Freight traffic to Blaenau has ceased following the closure of Trawsfynydd Nuclear Power Station, although general freight traffic finished much earlier. 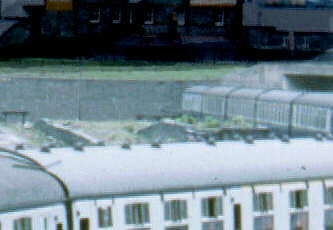 The class 24s seen here did not last very long, 24073 being withdrawn in November 1977, and 24057 in January 1978.